We all know, that family gatherings at certain times of the year, such as Christmas, Chinese New Year, National Days like July 4 for the USA, August 9 for Singaporeans, for the PRC Chinese, the Japanese and Koreans the Golden week holidays,are very common. Thousands of homes are crowded then, if at no other time of the year. The young man in town snatches a few days away from business, and takes a run down to visit his parents at home. The young woman gets a short holiday, and comes to visit her father and mother. Brothers and sisters meet for a few hours. Parents and children look one another in the face. There is so much to talk about! So many questions to be asked! So many interesting things to be told! It is indeed a happy home which sees “the whole family” gathered in it at Christmas. Next to the grace of God, I see no principle which unites people so much in this sinful world as family sentiments. Community of blood is a most powerful tie. I have often observed that people will stand up for their relatives, merely because they are their relatives, and refuse to hear a word against them, even when they have no sympathy with their tastes and ways. Anything which helps to keep up the family sentiment ought to be commended. It is a wise thing, when it can be done, to gather “the whole family” together . Family gatherings, nevertheless, are often sorrowful things. It would be strange indeed, in such a world as this, if they were not. Few are the family circles which do not show gaps and vacant places as years pass away. Changes and deaths make sad havoc as time goes on. Thoughts will rise up within us, as we grow older, about faces and voices no longer with us. When the young members of the family have once began to launch forth into the world, the old heads may long survive the scattering of the nest; but after a certain time, it seldom happens that you see “the whole family” together. There is one great family to which I want all the readers of ChristianBlessings to belong. It is a family despised by many, and not even known by some. But it is a family of far more importance than any family on earth. To belong to it entitles a man to far greater privileges than to be the son of a king. It is the family of which Paul speaks to the Ephesians, when he tells them of the “whole family in heaven and earth.” It is the family of God. I. First of all, what is this family? II. Secondly, what is its present position? III. Thirdly, what are its future prospects? Our family gatherings on earth must one day come to an end. I. What is that family which the Bible calls “His whole family in heaven and on earth”? Of whom does it consist? The family before us consists of all real Christians–all who have the Holy Spirit living within them–all true believers in Christ–all the saints of every age, and Church, and nation, and language. It includes the blessed company of all faithful people. It is the same as the Elect of God–the household of faith–the mystical body of Christ–the bride–the living temple–the sheep that never perish–the Church of the firstborn–the holy universal Church. All these expressions are “the family of God” only using other names. Do you want to know the reason that the Bible gives this name to all true Christians? Would you like to know why they are called “a family”? (a) True Christians are called “a family” because they all have one Father. (b) True Christians are called “a family,” because they all rejoice in one name. (c) True Christians, above all, are called “a family” because there is so strong a family resemblance among them. This is the family to which we want you to belong. We ask you this day to consider it carefully, if you never considered it before. We have shown you the Father of the family–the God and Father of our Lord Jesus Christ. We have shown you the Head and Elder Brother of the family–the Lord Jesus Himself. We have shown you the features and characteristics of the family. All its members have great marks of resemblance. II. What is the present position of the whole family in heaven and earth? The family today is divided into two great parts. Each part has its own residence or dwelling place. Part of the family is in heaven, and part is on earth. For the present the two parts are entirely separated from one another. But they form one body in the sight of God, though resident in two places; and their union is sure to take place one day. Remember, two places, and only two, contain the family of God. The Bible tells us of no third habitation. There is no such thing as Purgatory, despite what some may falsely teach! There is no house of purifying, training, or probation for those who are not true Christians when they die. Oh no! There are only two parts of the family–the part that is seen and the part that is unseen, the part that is in “heaven” and the part that is on “earth.” The members of the family that are not in heaven are on earth, and those that are not on the earth are in heaven. Two parts, and only two! Two places, and only two! Let this never be forgotten. Some of God’s family are safe in heaven. They are at rest in that place which the Lord Jesus expressly calls “Paradise.” [Luke 23:43] They have finished their course. They have fought their battle. They have finished their appointed work. They have learned their lessons. They have carried their cross. They have passed through the waves of this troublesome world and have reached the harbor. As little as we know about them, we know that they are happy. They are no longer troubled by sin and temptation. They have said goodbye forever to poverty and anxiety, to pain and sickness, to sorrow and tears. They are with Christ Himself, who loved them and gave Himself up for them, and in His company they are indeed very happy. [Philippians 1:23] They have nothing to fear in looking back to the past. They have nothing to dread in looking forward to things to come. There are only three things lacking that would make their happiness complete. These three are the Second Coming of Christ in glory, the resurrection of their own bodies, and the gathering together of all believers. Some of God’s family are still on the earth. They are scattered everywhere in the midst of a wicked world, a few in one place and a few in another. All are more or less occupied in the same way, according to the measure of their grace given them. All are running a race, doing a work, fighting a warfare, carrying a cross, striving against sin, resisting the devil, crucifying the flesh, struggling against the world, witnessing for Christ, mourning over their own hearts, hearing, reading, and praying, however feebly, for the life of their souls. Each is often disposed to think no cross is so heavy as his own, no work so difficult, no heart so hard. But each and everyone is steadfast in their way–a wonder to the ignorant world around them, and often a wonder to themselves. But, however divided God’s family may be at the present time, on the earth, it is still one family. Both parts of it are still one in character, one in possessions, and one in relation to God. The part in heaven does not have as much superiority over the part on earth as at first sight may appear. The difference between the two is only one of degree. (a) Both parts of the family love the same Savior, and delight in the same perfect will of God. But the part on earth loves with much imperfection and weakness, and lives by faith, not by sight. The part in heaven loves without weakness, or doubt, or distraction. It walks by sight and not by faith, and sees what it once believed. (c) Both parts of the family are equally God’s children. But the children in heaven have learned all their lessons, have finished their appointed tasks, have begun an eternal holiday. The children on earth are still in school. They are daily learning wisdom, though slowly and with much trouble, and often needing to be reminded of their past lessons by chastisement and the rod. Their graduation day is yet to come. (d) Both parts of the family are equally God’s soldiers. But the soldiers on earth are still engaged in the battle. Their fight is not over. Every day they need to put on the whole armor of God. The soldiers in heaven are all triumphant. No enemy can hurt them now. No fiery dart of Satan can reach them. They have laid aside both helmet and shield. They can at last say to the sword of the Spirit, “Rest and be still.” They can finally sit down, and not have to watch and stand on their guard. III. What are the future prospects of the whole family in heaven and on earth? The future prospects of a family! What a vast amount of uncertainty these words open up when we look at any family we now see in the world! How little we can tell of the things coming on any of us! What a mercy it is that we do not know the sorrows and trials and separations which our beloved children may have to experience, after we have left the world! It is a mercy that we do not know “what a day may bring forth,” and a far greater mercy that we do not know what may happen in the next twenty years. [Proverbs 27:1] Surely, foreknowledge of the future prospects of our household would spoil many a family gathering, and fill the whole party with gloom! Think how many a fine boy, who is now the delight of his parents, will in time follow the path of a reckless son, and never return home! Think how many a fair daughter, the joy of a mother’s heart, will in a few years follow her own stubborn will, and insist on some miserably mistaken marriage! Think how disease and pain will often lay low the loveliest of a family circle, and make her life a burden and wearisome to herself, if not to others! Think of the endless disagreements and divisions that will arise out of money matters! Yes, there is many a life-long quarrel over a small sum of money, between those who once played joyfully together in the same nursery! Think of these things. The “future prospects” of many a family which meets together every family occasion are a solemn and serious subject. Hundreds, to say the least, are gathering together for the last time: when they part they will never meet again. But, thank God, there is one great family whose “prospects” are very different. The future prospects of the family of God are not uncertain. They are good, and only good; happy and only happy. Listen to me, and I will try to set them in order before you. (a) The members of God’s family will all be brought safely home one day. (b) The members of God’s family will one day all have glorious bodies. (c) One day, the members of God’s family will all be gathered into one company. It does not matter where they have lived or where they have died. They may have been separated from one another both by time and space. One may have lived in tents, with Abraham, Isaac, and Jacob, and another traveled by the modern transportation of our day. One may have his bones laid to rest in an Australian desert, and another may have been buried in an English churchyard. It makes no difference. All will be gathered together from north and south, and east and west, and meet in one happy assembly, never to part again. The earthly partings of God’s family are only for a few days. Their meeting is for eternity. Little does it matter where we live. It is a time of scattering now, not of gathering. Little does it matter where we die. All grave are equally near to Paradise. But it does matter whether we belong to God’s family. If we do we are sure to meet again in the end. (d) One day the members of God’s family will all be united in mind and judgment. They are so divided now about many little things. About the things needful to salvation there is a marvelous unity among them. About many speculative points in religion, about forms of worship and church government, they often sadly disagree. But one day there will be no disagreement among them at all. Ephraim will no longer disturb Judah, nor Judah Ephraim. Partial knowledge and dim vision will be ended forever. Divisions and separations, misunderstandings and misinterpretations, will all be buried and forgotten. Since there will only be one language, so there also will be only one opinion. At last, after thousands of years of strife and clashing, perfect unity and harmony will be found. A family will finally be shown to angels and men in which all are of one mind. (e) One day the members of God’s family will all be perfected in holiness. Grace, even now, is a beautiful thing, when it lives, and shines, and flourishes in the midst of imperfection. But how much more beautiful will grace appear when it is seen pure, unmixed, unmingled, and alone! And it will be seen so when Christ comes to be glorified in His saints at the last day. (f) Last, but not least, one day, the members of God’s family will be eternally provided for. These prospects of God’s family are great realities. They are not vague shadowy talk of man’s invention. They are real true things, and will be seen as such before long. They deserve your serious consideration. Examine them well. Look around the families of earth with which you are acquainted, the richest, the greatest, the noblest, and the happiest. Where will you find one among them all which can show prospects to compare with those of which you have just heard? The earthly riches, in many a case, will be gone in a hundred years or so. The noble blood, in many a case, will not prevent some disgraceful deed from staining the family name. The happiness, in many a case, will be found hollow and illusive. Few, indeed, are the homes that do not have a secret sorrow, or a “skeleton in the closet.” Whether for present possessions or future prospects, there is no family so well off as “the whole family of God in heaven and earth.” Whether you look at what they now have, or what they will have in heaven, there is no family like the family of God. (1) I ask you a simple question. Take it with you to every family gathering which you join at any season of the year. Take it with you, and amidst all your happiness make time for thinking about it. It is a simple question, but a solemn one, Do you really belong to the family of God? To the family of God, remember! It is no answer to say that you are a Protestant, or belong to so-and-so denomination, or are an Evangelical. I want to hear of something more and better than that. I want you to have some soul-satisfying and soul-saving religion. A religion that will give you peace while you live, and hope when you die. To have such peace and hope you must be something more than a Protestant, or a member of so-and-so denomination, or an Evangelical. You must belong to “the family of God.” I firmly believe that thousands around you do not belong to the family. But that is no reason why you should not. If you do not yet belong to God’s family, I invite you this day to join it without delay. Open your eyes to see the value of your soul, the sinfulness of sin, the holiness of God, and the present danger of your present condition, the absolute necessity of a mighty change. Open your eyes to see these things, and repent this very day. Open your eyes to see the great head of God’s family, even Christ Jesus, waiting to save your soul. See how he has loved you, lived for you, died for you, risen again for you, and obtained complete redemption for you. See how he offers you free, full, immediate pardon, if you will only believe in Him. Open your eyes to see these things. Seek Christ at once. Come and believe in Him, and commit your soul to His keeping this very day. I know nothing of your family or past history. I do not know where you go to spend your holidays, or what company you are going to be in. But I am bold to say, that if you join the family of God you will find it the best and happiest family in the world. (2) If you really belong to the whole family in heaven and earth, count up your privileges, and learn to be more thankful. Remember what a mercy it is to have something which the world can neither give nor take away—something which makes you independent of sickness and poverty–something which is your own forevermore. The old family home will soon be empty and up for sale. The old family gatherings will soon be past and gone forever. The loving faces we now delight to gaze on are rapidly leaving us. The cheerful voices which now welcome us will be silent in the grave. But, thank God, if we belong to Christ’s family there is a better gathering yet to come. Let us often think of it, and be thankful! In the meantime let us strive to live worthy of the family to which we belong. Let us labor to do nothing that may cause our Father’s house to be spoken against. Let us endeavor to make our Master’s name beautiful by our disposition, conduct, and conversation. Let us love as brethren, and abhor all quarrels. Let us behave as if the honor of “the family” depended on our behavior. Reference Website: www.biblebb.com with thanks. I am real pleased I stumbled across this, for many years since I arrived in the UK at almost seven I didn’t have a family, it was me against the world. It affected me mentally until five years ago when I found God. The word family for me conjured up painful emotions and obsessive thoughts. But now reading your post made my stomach turn a little ,the usual feelings., but altthough I still don’t really have those close earthly family. I thank god. I am a child off a God and belong to a heavenly family. I really do appreciate this and when I feel those familiar pangs in my stomach I will be reading this again. You write very well. Welcome to our ChristianBlessings family, Beverly. Visit often and be blessed. Join us in prayer for one another, in missions, in encouragement, in provoking one another to good works to His glory. Like, comment and feel at home here. I wish there was a “Love” button instead of just “Like” as every so often you come across a posting that is not just insightful and “right-on” the mark, but also so very needed within the FAMILY who call our Lord Father! This is an awesome article and I loved every wonderful word of it. Sometimes I get to wondering whether I am alone in some of my spiritual thoughts and teaching and then the Lord, just as He did with the prophet Elijah, He reminds me He has MANY who have not bowed to humanistic or “watered down RELIGIOUS” ideas but still cling to the Spiritual principles that bring true life!! God bless you all so graciously from my heart and spirit!! Praise The Lord, He is alive and Father of us all, patient and kind, and ever faithful with mercies and grace new every morning. Thank you for dropping by. 😉 happy you enjoyed your brief stay. Hope you return many more times as you can. Blessings to you. Pastor you are so right because I absolutely loved this too. I savor end every written words. Wow! Wow! Wow! God is good and His family too. By love we serve one another and in His Name. Praise the Lord. Awesome post. To God Be the Glory. Family of God! We are talking unity with Christ. You are so right when you say each one of us has to be born again. No one can do it for us. Our spiritual father is above our natural parents and family members. They are just gifts from God, yet man place family before God. Amen He calls us to a higher plan and way of life. He is our Father may we always know that and walk and live as He is our Father and listen and obey and trust Him. When we do that there will always be unity and when we do not it is evident we have disunity. He is our Source of unity. Thank you for visiting us Author of Christian Comfort & Conversation may you return often to talk about the things that bind us together. I will be delighted to return and share the word of God. I will like to add you to my blogroll, if this is okay? Excellent blog post. Excellent blog. I especially like your thoughts on the family of God: “There is one great family to which I want all the readers of ChristianBlessings to belong. It is a family despised by many, and not even known by some. But it is a family of far more importance than any family on earth. To belong to it entitles a man to far greater privileges than to be the son of a king. It is the family of which Paul speaks to the Ephesians, when he tells them of the ‘whole family in heaven and earth. It is the family of God.’ ” My family belongs to the family of God. Amen. I am so grateful also for my extended church family. They have loved me through the death of my folks and all my blessings and sorrows. Thanks for sharing. I have subscribed to your blog. I invite you to visit my blog and encourage you to subscribe to mine. We write about the same things. Thanks again. http://stevensawyer.wordpress.com I would also like to feature you as a guest blogger on my site. Let me know. You can reach me at stevesaw@gmail.com God bless. 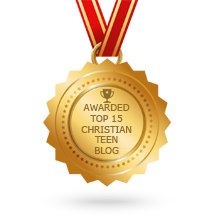 Thank you Steven for dropping by ChristianBlessings and for your invitation to be guest blogger. I am looking for good guest bloggers to sustain my daily rations of blogs for ChristianBlessings and not being a professional writer, I have to decline at the moment till I can get a slate of guest writers to collaborate with me. Thank you for subscribing to my blogsite. I shall reciprocate with subscription to yours. Praise the Lord you are a member of His household and I pray that you will continue faithful in encouraging His family of faith. Hi Steven, glad you are a member of God’s family. Yes, we can collaborate for God and it will please the Lord. I shall be contacting you next week as I focus on Chinese New Year celebrations with family and friends this weekend. There will be much opportunity for me to talk about Jesus and to share His love and Christian Blessings as we expect about 200 people to stream into my home for an “annual chat” when they pay their respects to my dad,( by their visits to the oldest person in our extended family and the church he attends), over the two days of January 23, 24. I shall appreciate your prayers even as I stand up for Jesus or go forth among them to share the gospel – our first collaboration for Him. Will contact you next week. God bless you and your family.